The National Centre for Diversity hosted their first annual FE Sector Diversity Awards evening at the Macdonald Burlington Hotel in Birmingham, on Tuesday 15th November 2016, to celebrate commitment and shining examples of excellent work around Equality, Diversity and Inclusion from across the UK’s FE Sector. The evening brought together some of the country’s most innovative, inspiring and influential people from the FE Sector, to celebrate the many achievements of FE organisations, their staff and students from across the UK. 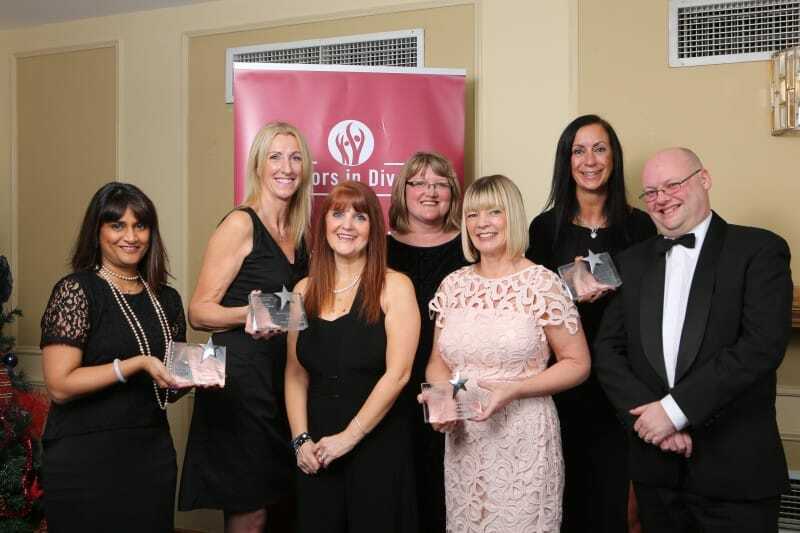 As part of the FE Sector Diversity Awards, the NCFD launched its very own Top 50 Index of UK FE Sector Organisations; as well featuring 19 awards, which included 10 regional categories and several individual nomination categories. In spectacular style Huddersfield New College swept the board during the evening’s proceedings, managing to take away three of the prestigious awards – Yorkshire and Humber FE Provider of the Year, Most Improved FE Organisation of the Year, and UK FE Provider of the Year. Zoe Shackleton, the Assistant Principal of Huddersfield New College, was also awarded as the UK FE Sector Employee of the Year, taking the College’s total to four awards. The evening was supported by NOCN and Amey; and also saw the National Centre for Diversity announce the winner of their first Diversity Arts Competition. The winner of the Diversity Arts Competition 2016, and recipient of the £1,000.00 prize was student Chloe Summerling, from Amersham and Wycombe College, for her entry titled Postcards of Equality. NCFD also awarded a special recognition award to Charlotte Cooper, a student from the University of Art, London; for her animated entry titled Life. The event also featured some fantastic entertainment from students, with performances from Claudia Whittle from Halesowen College and Laura Warwick and Gershom Ofori Amanfo both of whom are students at City College Coventry. The National Centre for Diversity has already confirmed the date as the 16th March 2017 for their next event, which will be the Grand Awards 2017. For more information visit www.nationalcentrefordiversity.com, email events@iiduk.org or call 0800 288 4717.